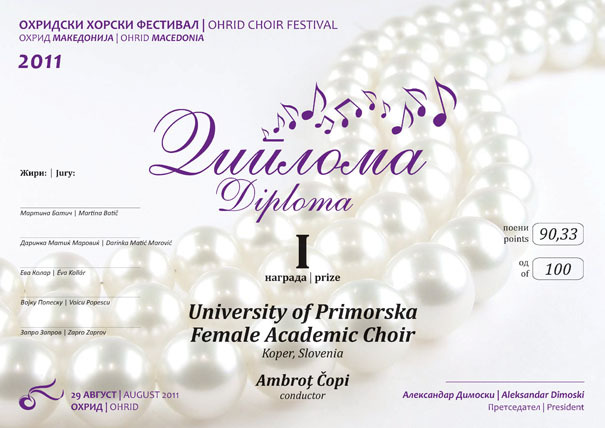 The Academic Choir of the University of Primorska (APZ UP) marks the seventh year of prolific performances under the auspices of the Student Organization of the University of Primorska. 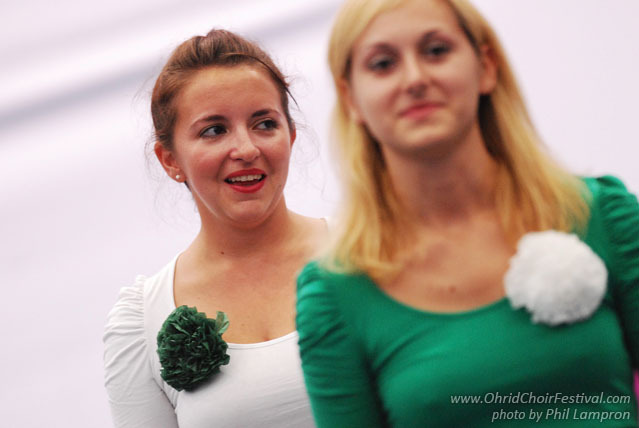 The choir consists of about forty students, along with some external enthusiasts of choral singing, and is led by the conductor Ambroţ Čopi and assistant Andreja Hrvatin.The Choir gives concerts in Slovenia and abroad and has been successful in such competitions as: Prèveza ,Greece, 2006, first prize, gold medal in category of youth choirs and category of equal voices choirs; Varna, Bulgaria, 2008, Grand Prix Varna 2008, first prize in category of mixed choirs etc It has always embraced the complete range of musical genres and styles, from the Renaissance to modern music. In the year 2008 the choir released its first CD with live recordings; another CD featuring the selection of pieces followed in the spring 2010, known as “Mysterium”. Ambrož Čopi (1973) graduated from the composition class of Dane Škerl at the Academy of Music in Ljubljana; he completed his post-graduate studies in the class of Uroš Rojko. His compositions received awards at numerous composer competitions and are included on CD’s by national and foreign choirs. For his outstanding achievements during his study, Ambroz Copi was awarded the Young Musician Award in 1995. In 1997 he won the Prešeren Prize of the University of Ljubljana. Since 2004 he has been the conductor of the Academic Choir of the University of Primorska. For his interpretations he was awarded several special prizes. 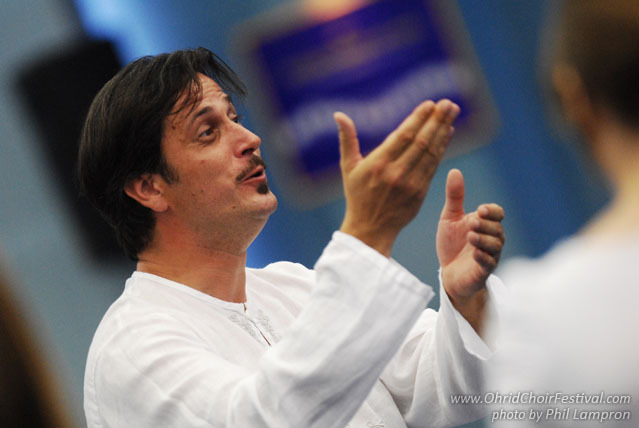 In 2009 he was awarded the Gold Medal of the University of Primorska for the achievements with the APZ UP choir. As professional adjudicator and member of the competition juries he is regularly invited to various choral events and competitions, and as a lecturer he is involved in choral music seminars at home and abroad. Koper, the oldest town in Slovenia, was developed on a rocky island with the Roman name Capris. Today Koper is a commercial and tourist city, continuing to develop its offer in terms of seaside resorts, nautical tourism,sports and shopping. It has also become a University City.